Collage and oil on canvas. 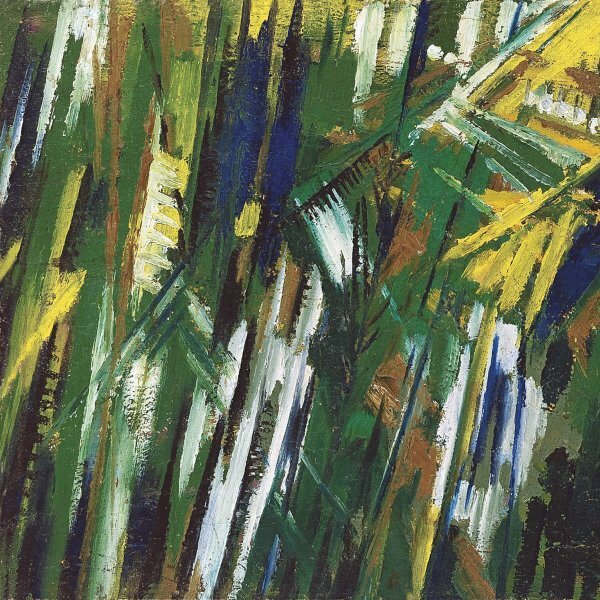 Alexandra Ekster, a painter of Ukrainian origin, has recently been acknowledged as one of the foremost artists of the Russian avant-garde movements and a key link in connecting French Cubism and Italian Futurism with Russian Cubo-Futurism — a name some authors claim that she coined. Although from 1907 onwards she spent long periods in Paris, where she met Pablo Picasso, Georges Braque and the Italian Futurists Ardengo Soffici and Filippo Tommaso Marinetti, she always returned to her beloved Kiev. Furthermore, despite her close relationship with the European avant-gardes, she never lost contact with her fellow Russians and took part in the leading Russian avant-garde exhibitions such as Jack of Diamonds and 5 x 5 = 25, both held in Moscow. Although it is more than likely that the present Still Life was painted in Paris, where the artist lived from 1912 to 1914, Yakov Tugenhold believes it is among the works shown at the aforementioned Jack of Diamonds exhibition in 1914. As can be clearly seen in the composition, she was influenced by the Cubist movement while living in the French capital. Nevertheless, whereas the spatial fragmentation and use of collage evidence her experimental zeal, the vivid colours are drawn from Russian traditions. 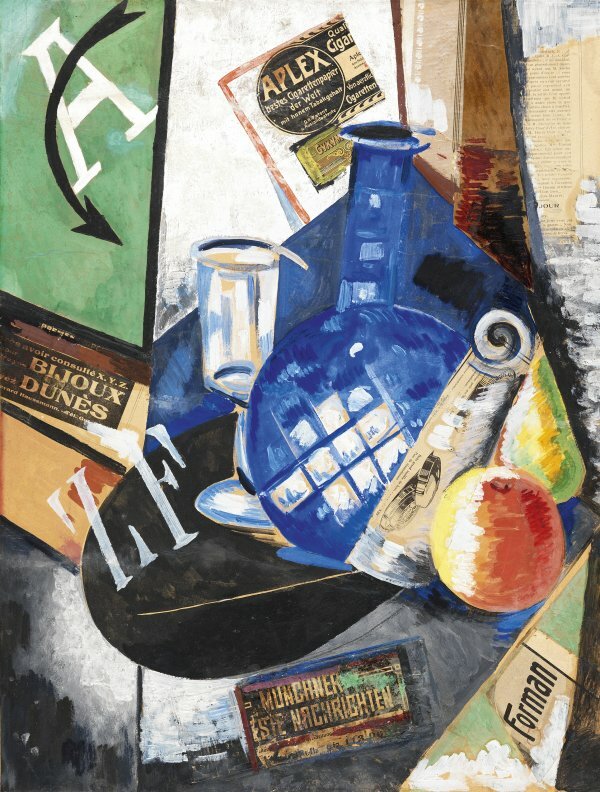 Furthermore, the characteristic objects depicted in the Cubist still lifes, such as the bottle and glass in the centre of the composition, are intermingled with various collages of advertisements and fragments of articles cut out of newspapers, as well as a large letter “A” crossed by an arrow in the upper left corner.